Dealing with chronic pain can feel like a lonely struggle. But at Balcones Pain Consultants, we strongly believe that successful pain management is a team effort. Our experienced staff of professional caregivers will work personally with you to identify and develop the most effective course of treatment for your specific needs—so you never have to go it alone. Over the last 14 years, Dr. Matt McCarty has enjoyed partnering with patients to restore function and break the grip that chronic pain has held on their lives. Dr. McCarty is a board-certified anesthesiologist with subspecialty certification in pain medicine. He received his undergraduate degree from Baylor University, and medical school degree from the University of Oklahoma. He completed his anesthesiology residency at the University of Texas Health Science Center in San Antonio, and practiced successfully in Tyler, Texas for 14 years. Once he decided to pursue his growing interest in chronic pain medicine, Dr. McCarty completed a one-year fellowship in interventional chronic pain management at the University of South Florida and moved his family to Austin to begin private practice. He believes that chronic pain can rob us of our time, energy and relationships, ultimately leading us to isolation and despair. He is committed to a partnership for success with his patients, by returning them to their community through the various treatment modalities such as physical therapy, medications, advanced interventional procedures, and behavioral therapies. Dr. McCarty is also committed to research and innovation in the areas of medication monitoring and prescription fulfillment. He is the CEO and founder of Genotox Labs, which performs genetic testing of our individual metabolic differences in metabolizing medication, but primarily specializes in proprietary methods of urine drug monitoring. He has been honored to present the labs patent pending method called ToxPROtect, which aims to help other labs improve quality assurance surrounding lab labeling errors as well as detecting the use of substitute synthetic or other human urine in medication and sobriety monitoring. Dr. McCarty is available for consultation in South Austin, TX. Because he understands that chronic pain affects people in many ways, Dr. Lowry employs an individualized approach to each patient’s pain to help them live the best life possible. A native Texan, Dr. Lowry obtained his undergraduate degree from Texas A&M University, and his medical degree from the University of Texas Health Science Center in San Antonio. He completed residency training at Baylor College of Medicine in both internal medicine and anesthesiology. Having developed a desire to improve the lives of chronic pain patients, Dr. Lowry completed a one-year pain management fellowship at Harvard Medical School’s Beth Israel Deaconess Medical Center. He is board certified in anesthesiology and pain medicine. Dr. Lowry is available for consultation in Austin and Marble Falls. Rey Ximenes, MD is a multi-disciplinary pain management physician dedicated to the integration of modalities used to alleviate pain. Dr. Ximenes began his career in medicine as an anesthesiologist, working in such places as M.D. Anderson Hospital, Texas Heart Institute, St. Luke’s Hospital, Hermann Hospital, St. Joseph’s Hospital, and The Texas Children’s Hospital in Houston. He was also a founding member of South Austin Anesthesiology in Austin, Texas. His training includes general anesthesia, cardio-vascular anesthesia, neuroanesthesia, obstetrical anesthesia, as well as pain management. This gave him a broad perspective to draw upon in the practice of alleviating pain. Dr. Ximenes is board certified in interventional pain management, acupuncture, and naturopathy. He is the past President of the American Academy of Medical Acupuncture, and a Board Member of the Texas State Board of Acupuncture. Dr. Ximenes is well versed in the full complement of medication management techniques, as well as acupuncture, osteopathic manipulations, homeopathy, myofascial release, massage therapy, Tui Na, Qi Gong healing, nutritional counseling, herbal therapy, psychological counseling, exercise therapy/counseling (including Tai Chi, Qi Gong, aerobics, strength training, and Yoga), Reiki, meditation, and many others as well. He maintains an informal network of friends, teachers, practitioners, and healers, to provide a truly multi-disciplinarian approach to health care. Dr. Ximenes is accepting patients at our South Austin and Marble Falls locations. Dr. Yuen Cheng joined Balcones Pain Consultants in May 2018. He believes in a multidisciplinary approach to treating chronic pain that includes physical therapy, behavioral modification, exercise, medication, and advanced interventional techniques to not only alleviate pain but to also restore function and improve general health and fitness. He received his undergraduate degree from The University of Texas at Austin and his medical degree from the University of Texas Southwestern Medical Center in Dallas, TX. He completed a General Surgery internship at Exempla Saint Joseph Hospital in Denver, CO before completing his anesthesiology residency at The University of Texas Health Science Center at Houston. He went on to complete a Pain Management fellowship at St. Elizabeth Medical Center in Boston, MA with a concurrent appointment at Tufts University School of Medicine Clinical Associate of Anesthesiology and Perioperative Medicine. He is double boarded as a Certified Anesthesiologist and Pain Management Physician who held an appointment as Assistant Professor of Anesthesiology at The University of Texas Health Science Center of Houston. Dr. Cheng is accepting patients at our Austin and Cedar Park locations. 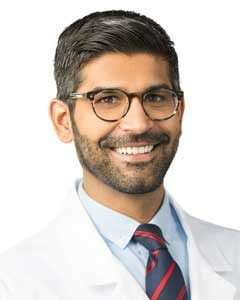 Dr. Hisham Khan, MD joined Balcones Pain Consultants in July of 2018. Dr. Hisham Khan, MD is double boarded as a Certified Anesthesiologist and Pain Management Physician. He completed his residency training at Ohio State University. His pursuit of knowledge, willingness to address complex medical problems and passion for improving people’s quality of life led him to a one-year interventional pain medicine fellowship at Ohio State University. Dr. Khan believes in a multidisciplinary approach to pain medicine that deals with the biological, psychological and social aspects of chronic pain. He practices an evidence based approach to pain medicine and is a firm believer in offering treatment options that are tailored to the individual’s needs, and provide demonstrable benefit. Dr. Khan has presented his work at multiple national conferences and plans on being a lifelong learner, so he can provide his patients with innovative therapies for chronic pain. Dr. Khan is accepting patients in both South Austin and Marble Falls. Shaylyn Burnham, MSN, APRN, FNP-BC, is dedicated to providing innovative, evidence-based, multi-dimensional care to allow patients to take control of their chronic pain. Shaylyn received her associates in applied science in nursing, bachelor of science in nursing, and master of science in nursing/family nurse practitioner from Angelo State University in San Angelo. Throughout her nursing career, she has placed her focus on improving patients’ overall health and quality of life. She strives to create a partnership with each patient to accomplish their individual pain management goals. After living in West Texas for most of her life, Shaylyn and her family are excited to start a new adventure here in the Texas Hill Country. Shaylyn Burnham, FNP-BC, is now accepting patients at our Marble Falls Office. Jessica M. Garcia, FNP-C, MSN, APRN, graduated with honors as a member of Sigma Theta Tau from the University of Texas at Austin 2018. She received her BSN from the University of Texas at Austin as well in 2005. 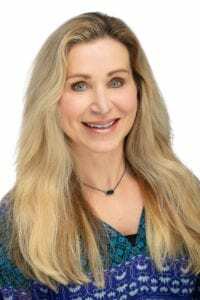 She has been an active member of the Austin Advanced Practice Nurses Association since 2016 and a member of the American Association of Nurse Practitioners since 2018. Jessica has 13 years of nursing experience predominantly in cardiac, medical and neurologic intensive care units. She also has had experience as an operating room nurse in multiple disciplines. Jessica is excited to join the team at Balcones Pain Consultants, where holistic care is important. She understands that treating pain involves many aspects, most importantly, listening to her patients. Her mission is to assist patients in achieving their health goals with a collaborative plan of care. A native Texan, Jessica calls Laredo, Texas home. Jessica enjoys running, reading, gardening, and spending time with her family and dog. Jessica is currently accepting patients in our South Austin Location. Nisha Meknojiya, MSN, APRN, FNP-C, is excited to be returning to Balcones Pain Consultant team. Nisha earned her Bachelor of Science in Nursing from the University of Texas Health Science at San Antonio in 2014 and earned her Master of Science degree from the same institution in 2016. She was born and raised in Austin, TX. She started her career as a nurse at St. David’s South Austin Hospital as a medical-surgical telemetry for and transitioned to an intermediate care unit nurse and was also a nurse preceptor. She also has gained experience working with chronic conditions such as diabetes and obesity. Throughout her career, she has been exposed to patients who suffer from chronic pain and believes pain management is essential to improve their quality of life and functionality. Her goal is to provide care with respect and compassion. 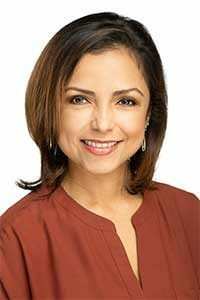 Nisha is an active member of American Association of Nurse Practitioners, Texas Nurse Practitioners, Austin Advanced Practice Nurses, and Sigma Theta Tau International Honor Society of Nursing. When outside of the office, she enjoys traveling, reading, and spending time with family and friends. Nisha Meknojiya, FNP-C is accepting patients at our Cedar Park location. Kim is passionate about education, disease prevention, and health promotion. Originally from Houston, Kim earned her bachelor of science in nursing from the University of Texas Medical Branch at Galveston. She worked for several years in the Houston Medical Center and received sixteen years of registered nurse training in emergency nursing, perioperative nursing, and case management. She completed her master of science in nursing at the University of Texas at Austin. She co-authored the clinical practice guideline, Managing Chronic Gout in Adults, May 2012, published in the National Guideline Clearing House for the Agency for Healthcare Research and Quality. Kim received her Family Nurse Practitioner certification from the American Academy of Nurse Practitioners. Kim recently completed her ABHRT certification from Worldlink Medical recognizing her advanced training in mastering the protocols for optimization of Hormone replacement therapy. Kim is accepting patients in South Austin. 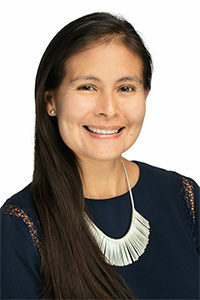 Yari Tran, PA-C, graduated from Texas A&M University with a bachelor degree in psychology in 2003. She then completed her master of physician assistant studies at Texas Tech University in Midland, TX, in 2005. Yari worked in neurosurgery for five years before transitioning into pain management. Yari became very familiar with surgical evaluation and treatment for neck and low back pain, and she was exposed to patients who deal with chronic pain. She enjoys working with patients to manage their chronic pain and improve their quality of life. Yari is currently accepting patients in our South Austin location. Don’t let pain keep you from living life to the fullest! If you have any questions about our pain management services, or if you would like to schedule an appointment, please call our office at (512) 834-4141 or use our secure Appointment Request Form, at right.